When „Big Little Lies“ premiered on HBO last year, viewers were instantly obsessed with the drama-filled lives of Madeline Martha Mackenzie, Celeste Wright, Renata Klein, and Jane Chapman as they navigated the politics of motherhood. Ratings skyrocketed for HBO and a second season is already on the way with big changes ahead — including a multi-episode appearance by Meryl Streep, who will play Perry Wright’s mother. But until 2019 rolls around, BLL fans are just going to have to relish in the masterpiece of the first installment, including the show’s killer (pun intended) fashion. Not only do the affluent women of Monterey, California put their best foot forward in business and social endeavors, but they make sure their style is up to par as well. 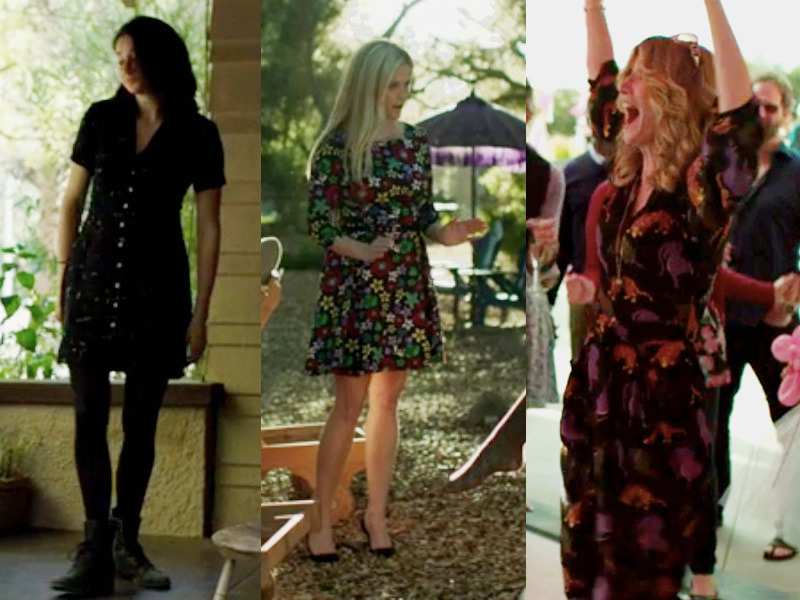 Read on for the best looks from the first season of the show. Jane Chapman set herself apart from the other Monterey moms with her laid-back, edgier style. The show opens with a mass carpool at Otter Bay Elementary where Madeline Mackenzie and Jane Chapman are introduced, and right off the bat, it’s clear that Jane has a different style than the polished moms of Monterey. Her cool-girl glasses, combat boots, and skinny jeans not only have a darker color palette, but they show she’s laid back, but with a subtle edge. Renata Klein established her role as the Head Mom In Charge in sleek business wear for school carpool. There’s a clear frenemy relationship between Renata Klein and the other moms from the start of the show, and her chic business attire at carpool establishes her dominance as the Head Mom In Charge (would you look at that tweed coat and minimalistic handbag?). You can’t be a working mother without an on-trend wardrobe, after all. Madeline Mackenzie’s bright and sunny sundress painted her as the ever-polished stay-at-home mom. If there’s one thing Madeline Mackenzie is great at, it’s giving off the impression that she and her family are perfect at all times, and her bright and sunny outfit at the parent meeting in episode two shows exactly that.